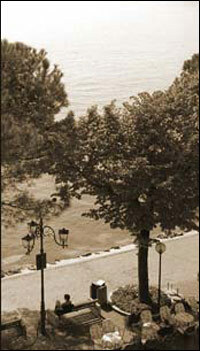 If you would like to receive information about our special offers by email please join our mailing-list. For full-price list click here. The Hotel Ancora is located on the east coast of Lake Garda in the area known as the Olive Riviera in the town of Garda which is surrounded by beautiful green hills. Bordered on one side by the Rocca and on the other by San Vigilio this was once a small fishing village but now boasts a booming international tourist trade. Garda also offers some very interesting historical buildings such as the Captain's Palace,Fregoso Palace and La Loggia which was designed by the architect Michele Sanmichele. 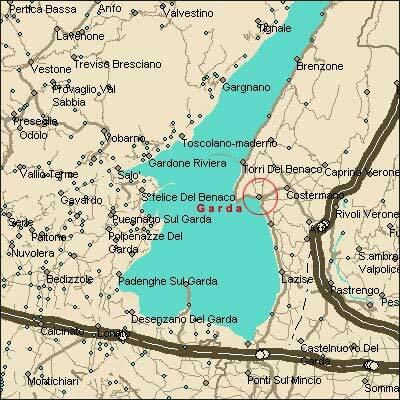 For those seeking excitement Garda is situated very close to some major theme parks including: Gardaland, Caneva World, Caneva Movie-Studios, Safari-Park and Zoo and the latest Park Jungle Adventures which can be found in the beautiful San Zeno di Montagna. For music-lovers there is the world famous Arena of Verona, the Roman amphi-theatre, situated in the heart of Verona and where every summer hosts the wonderful operas of Verdi, Puccini etc. Verona too is famous for its associations with William Shakespeare and each year thousands of Romeo and Juliet fans visit the famous balcony.